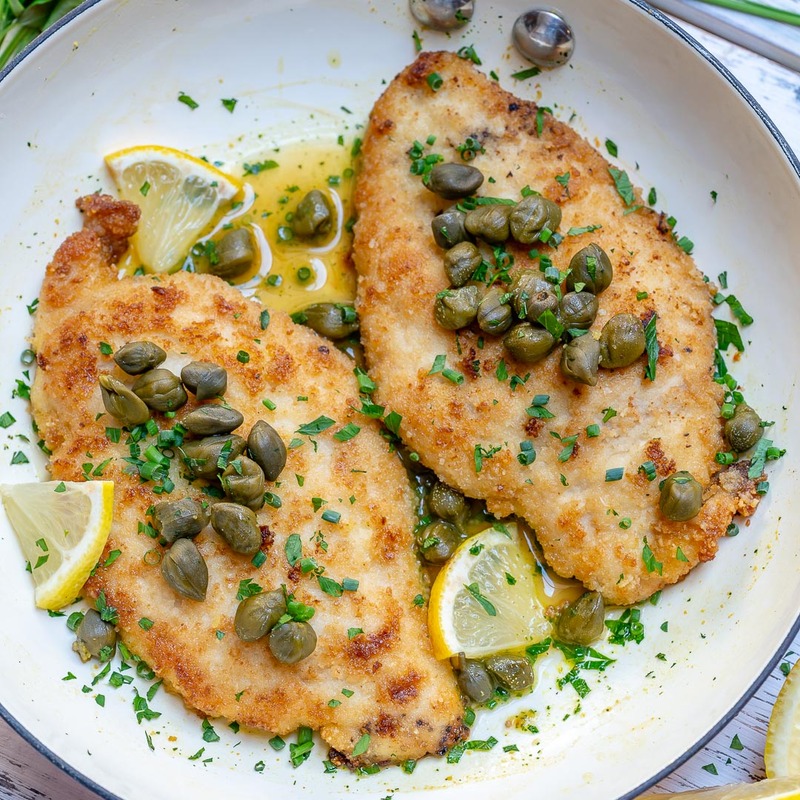 This SUPER Easy Chicken Piccata for Clean Eating is AMAZING! 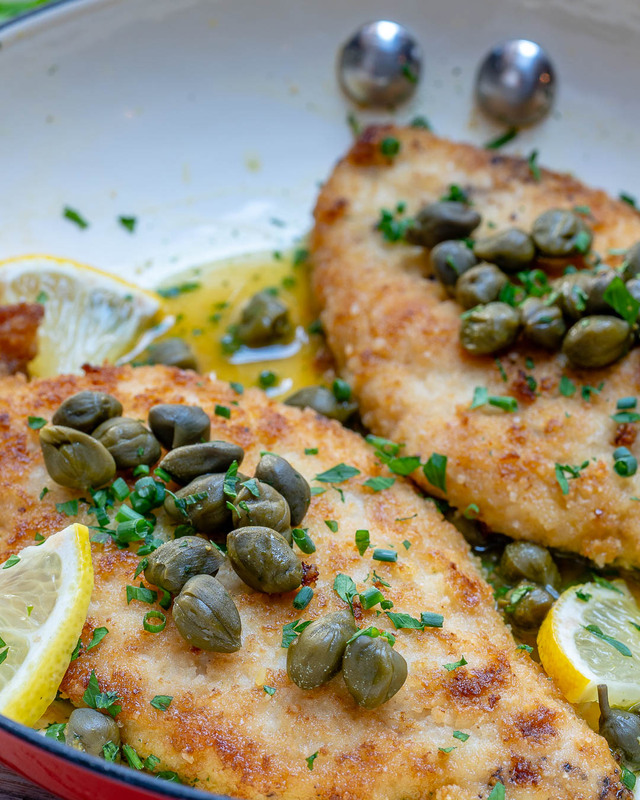 Chicken Picatta could definitely pass as one of my All-Time FAVORITE dishes! BUT, in my mind it’s more of a ‘Sunday Night’ kinda dish because it’s a bit more involved. 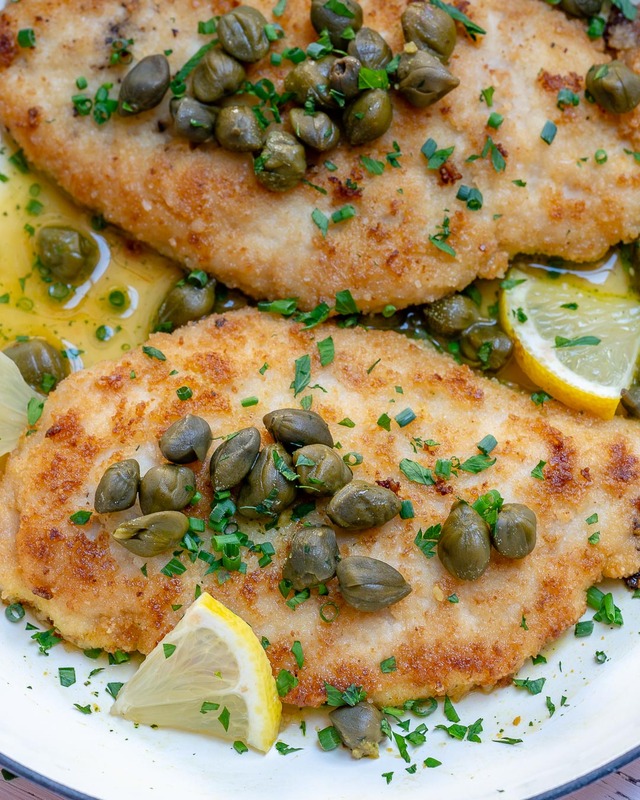 Definitely weeknight doable piccata! Add a veggie + maybe some rice = perfection. Preheat your oven to 350 degrees f. and line a large baking sheet with parchment paper. Season your chicken generously with garlic salt and freshly ground black pepper then dredge it on both sides in the almond flour. Heat oil in a large skillet over medium heat. Once hot, add in your chicken breasts and sear each for 2 minutes per side, until golden brown. 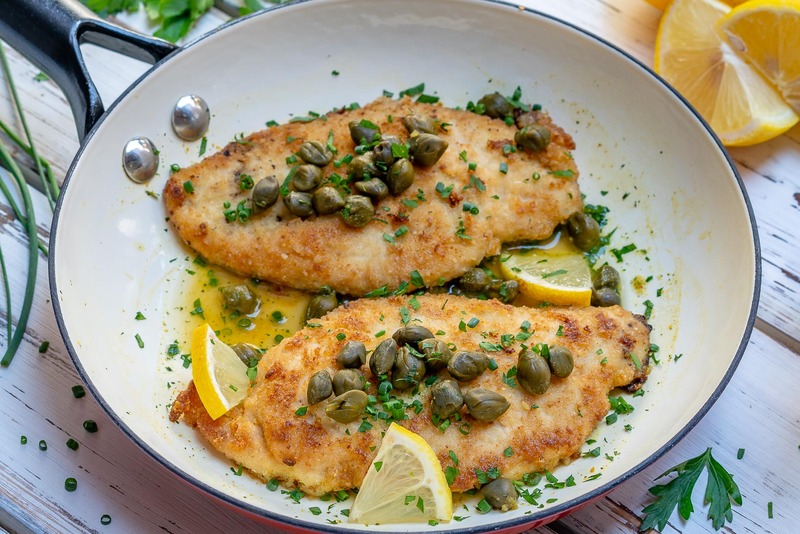 Transfer the chicken to the prepared baking sheet and continue cooking in your preheated oven for about 5 minutes until the chicken is cooked through and no longer pink in the center. Meanwhile, add the chicken stock, lemon juice and capers to the hot pan bring it to the boil and scrape down any brown bits. Cook the sauce until it is reduced by half, for about 6-8 minutes. 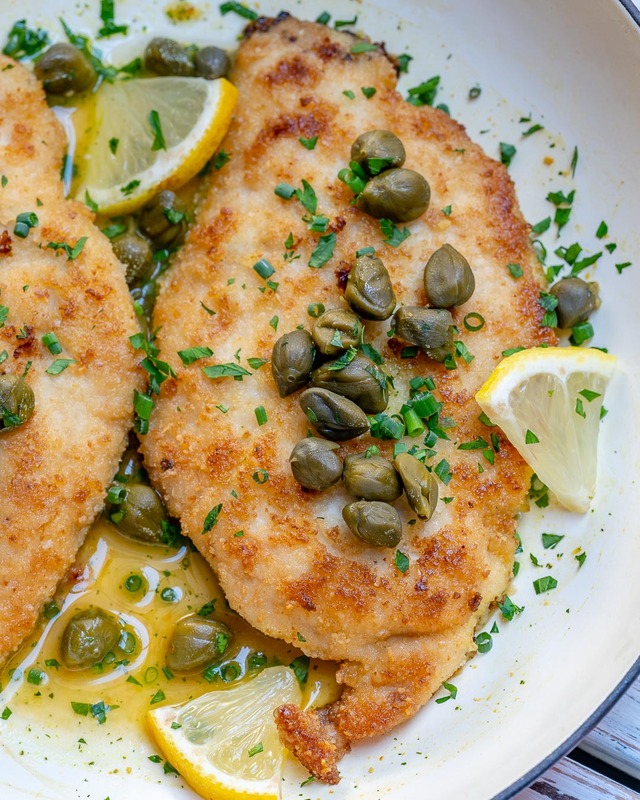 Return the cooked chicken breasts to the skillet and spoon the sauce over them. Preheat your oven to 350 degrees f. and line a large baking sheet with parchment paper. Season your chicken generously with garlic salt and freshly ground black pepper then dredge it on both sides in the almond flour. Heat oil in a large skillet over medium heat. Once hot, add in your chicken breasts and sear each for 2 minutes per side, until golden brown. 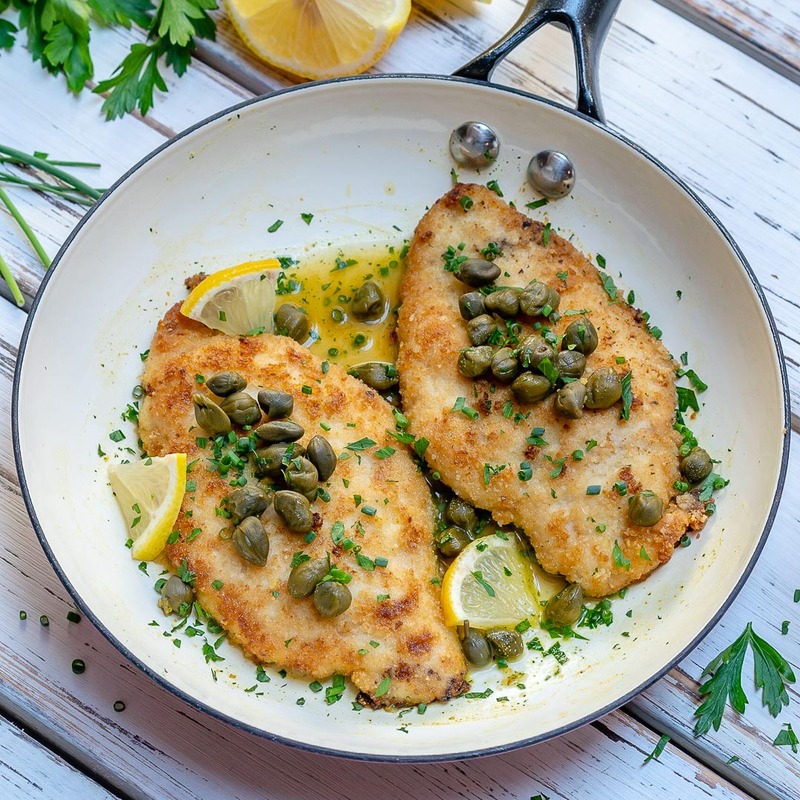 Transfer the chicken to the prepared baking sheet and continue cooking in your preheated oven for about 5 minutes until the chicken is cooked through and no longer pink in the center. Meanwhile, add the chicken stock, lemon juice and capers to the hot pan bring it to the boil and scrape down any brown bits. Cook the sauce until it is reduced by half, for about 6-8 minutes. 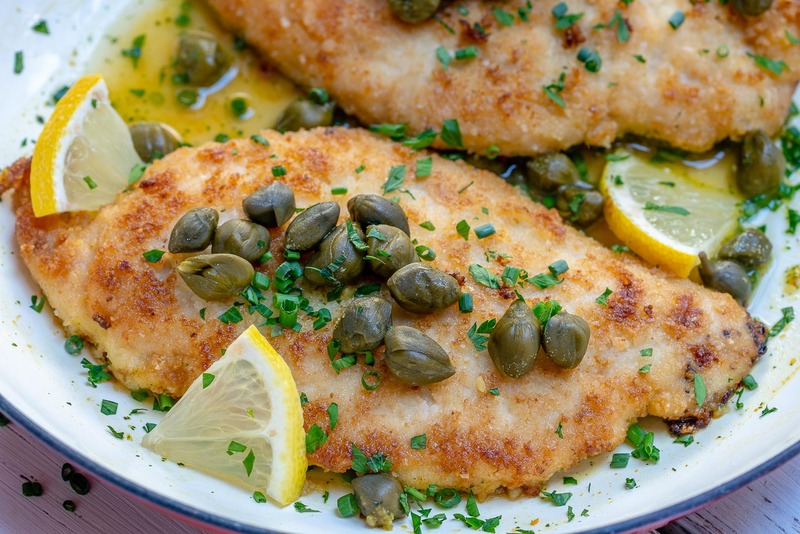 Return the cooked chicken breasts to the skillet and spoon the sauce over them. 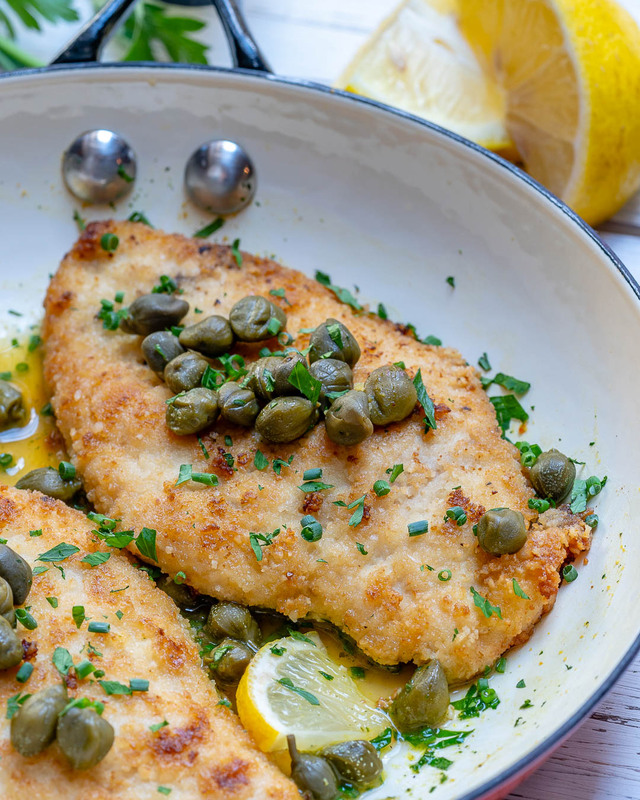 Garnish with lemon slices and fresh chopped parsley and enjoy!